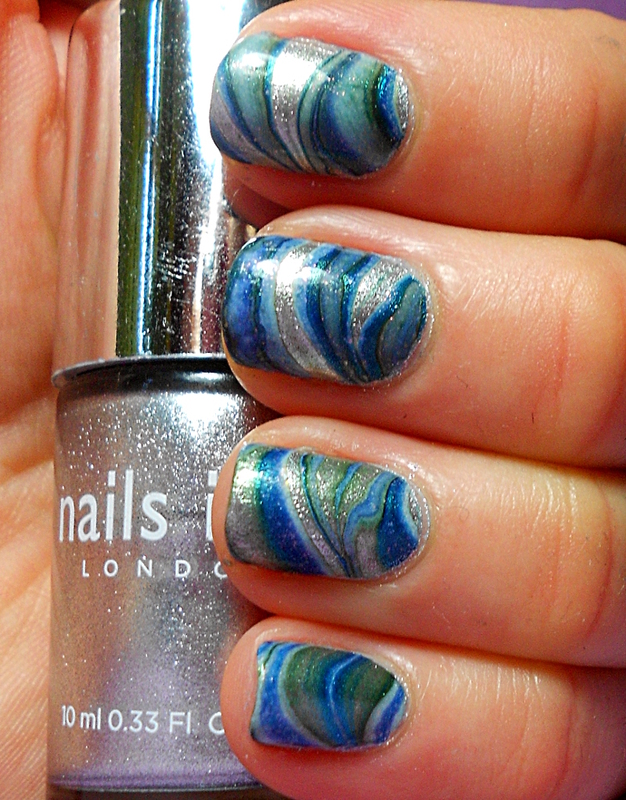 For this one, instead of starting with a white base, I decided to start with a silver base, so I did a coat of Nails Inc Cambridge Terrace. 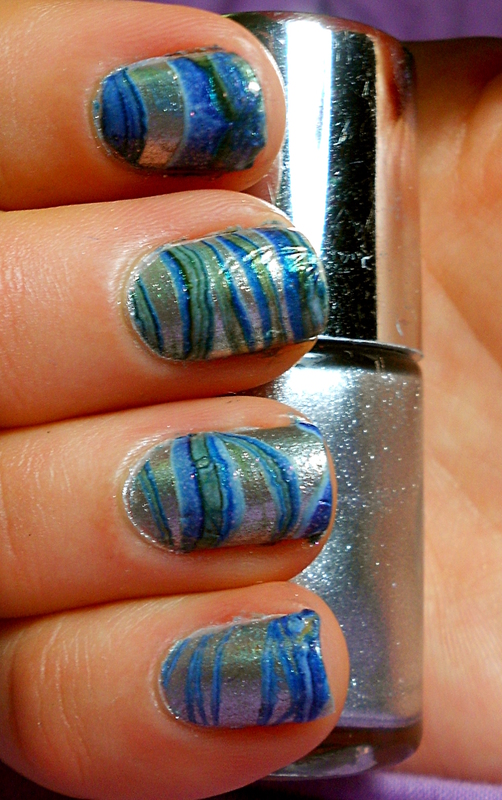 I then marbled over it using Essence Colour & Go Walk on the Wild Side, Sally Hansen Lustre Shine Scarab, and Sinful Colors Neptune and Cinderella. 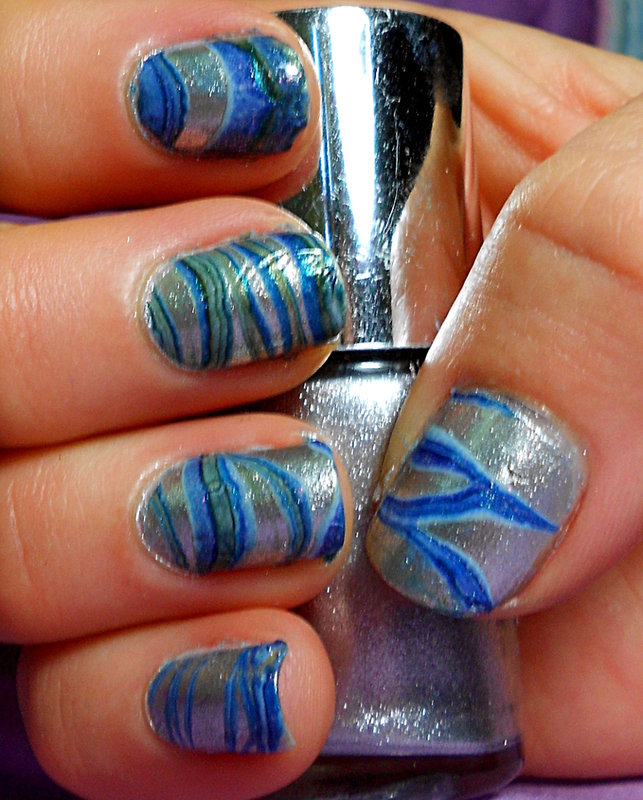 The silver base really makes these nails shine in the sun! And Cinderella is a pale blue with a pink shimmer – the pink is hard to see, but in the sun it does shimmer. Unfortunately that didn’t translate so well on the photos. I still think it looks gorgeous though! And guess what? 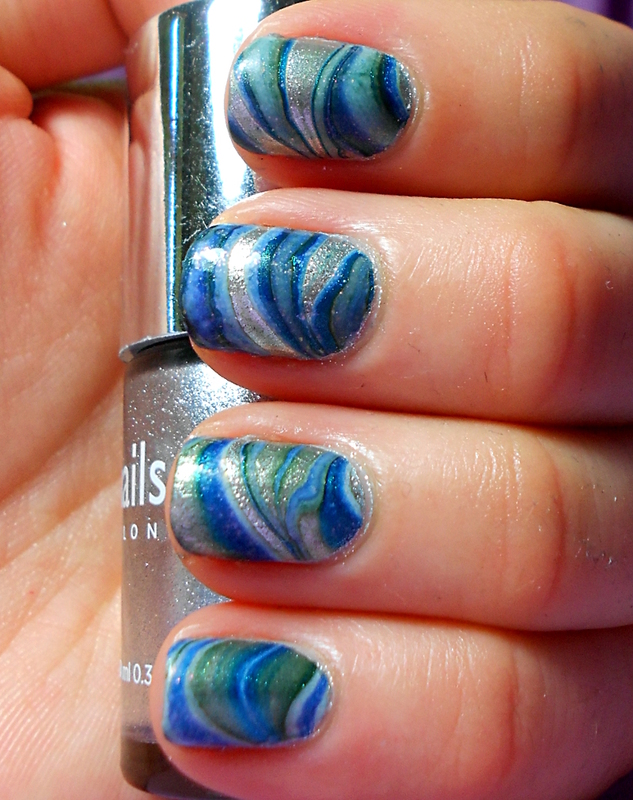 Because it’s a water marble, you get to see my right hand! You’ll just have to excuse how super awkward it looks, I can’t seem to get it to pose properly. This is so gorgeous! Looks like a Van Vogh painting! So gorgeous. 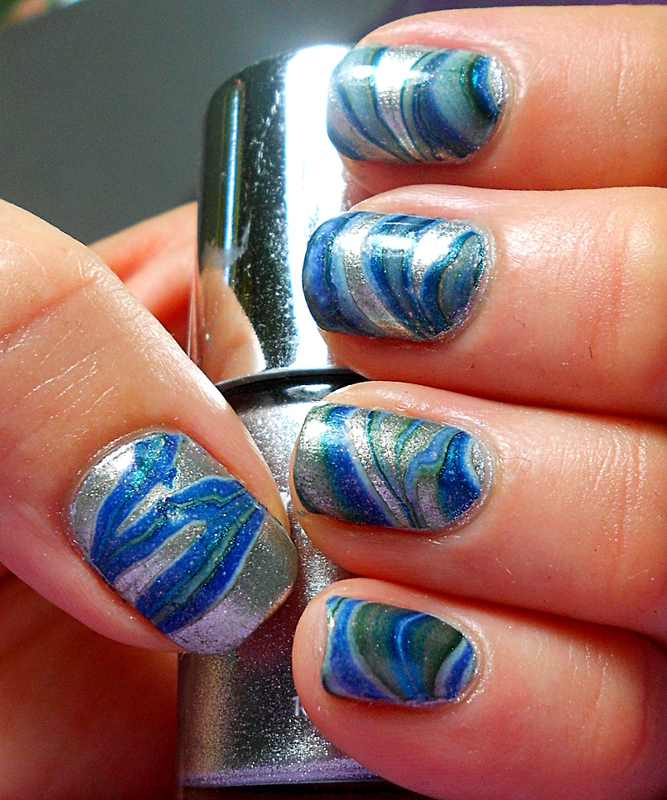 You are really rocking at this water marbling. I envy you. The colours look gorgeous together too. 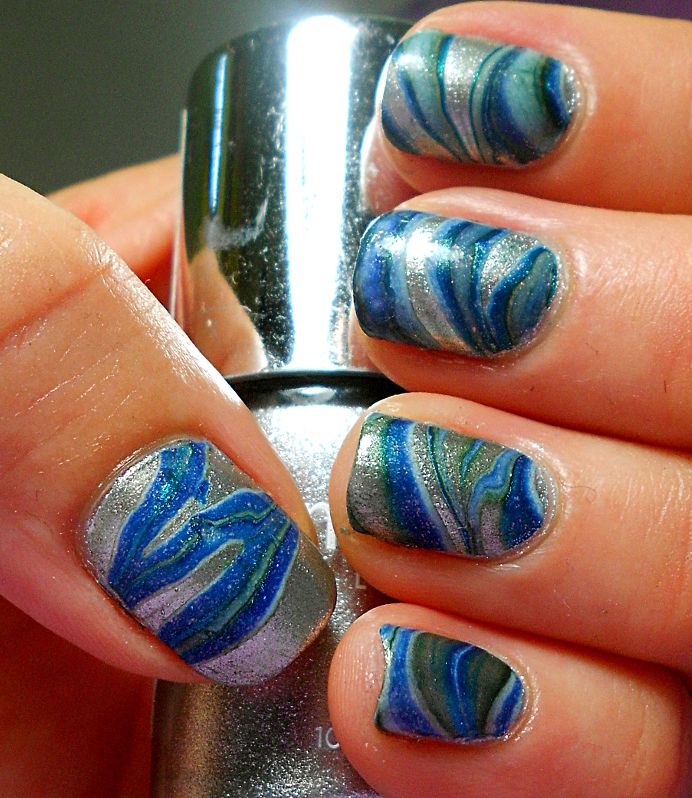 Haha I’ll swap my water marbling for your stamping, deal? The previous time I tried it was a huge flop as well, so try again!